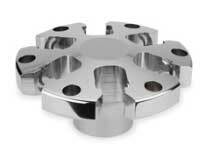 When you are looking for function-critical, highly engineered, metal components, Tier ONE can provide multi-axis, vertical or horizontal milling, lathe, swiss, mill turn, or EDM. Having the right machines for the job is a key element in the equation of making the highest quality product at a fair price, and we invest heavily in capital equipment to increase efficiencies and operational capability. While having the right inspection equipment to verify dimensions is another key element to underpin our standard of excellence. Having the right process engineers, machinists, and quality personnel is the last piece of the puzzle. Tier ONE is blessed with exceptional talent, with over 25 years of experience on average. Tier ONE also has an apprentice program to pass the baton of experience from generation to generation. We will continue to invest and partner with leading machine companies to stay ahead of our clients’ needs.